Shortly after her second birthday, Hope started having screaming fits each night, complaining of pain right below her nose. Because it was a regular thing, and thinking it was related to a sinus issue caused by her cleft lip and palate, we took her to an ENT. During the ENT visit, the doctor found something: a tooth growing in the upper part of her jaw, right under her left nostril. This type of tooth placement was normal for kids with a cleft palate, but would eventually need to be removed. Fast forward five years later to today and Hope is not happy that she’s going to have to say goodbye to her special tooth. Later this summer, she will have a bone graft to fill a gap in her alveolar ridge (in other words, they’re taking some bone from her hip, grinding it up, and placing it in the gap in the upper part of her jaw). The special tooth is right where the bone graft will be, so the tooth will need to be removed first. That first surgery is Friday. Hope’s reaction to the impending surgery has ranged from sheer horror to acceptance. While most of her procedures and appointments have been at Nationwide Children’s Hospital here in Columbus, the removal will be done by an orthodontist at a “grown up hospital.” We had an appointment with her orthodontist, which went well. He was very receptive to her and her questions, particularly her request that she get to keep the tooth (which he pointedly had his assistant write in his notes). While her anxiety is a little higher than normal, she is confident and ready for the surgery. She’s always had a high pain threshold. But as the date of the removal of her special tooth nears, she’s approaching it much more courageously than I would. The Civee and I don’t quite know what to expect for after the surgery, so we’re going to make sure to have plenty of ice cream on hand and a special box for her special tooth. Who Did General Madine Piss Off? The following contains a spoiler for Aftermath: Life Debt, which was released this week. 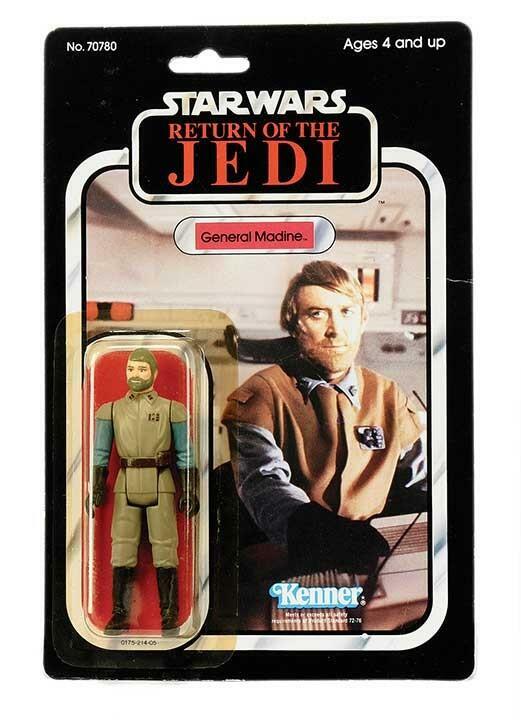 Growing up, one of my favorite Star Wars action figures (well, one of 15 or so favorites) was the General Madine figure. Madine was the guy in Return of the Jedi who developed the plan for Han Solo to lead a team of commandos to take out the Death Star shield generator. I don’t know if it was that he had the coolest beard this side of a hipster convention, or that his figure’s accessory was a battle staff, but Madine certainly commanded my attention. Like other characters, Madine’s backstory was expanded in the post-Jedi Expanded Universe. In the Star Wars Role Playing Game, it was explained he was a high-ranking Imperial who defected. In the Dark Forces video game, the player rescued him from the Empire. And then in the 1995 novel Darksaber, Madine was killed. By a Hutt. While on a mission to stop the construction of a bootleg Death Star. Madine was one of the first characters with a speaking role in a Star Wars movie to be killed off in the then-Expanded Universe. After Disney bought Lucasfilm, they announced all ancillary material was invalid (no longer an Expanded Universe, but now Legends), giving Madine, Chewbacca and all the other characters who suffered lame deaths a second chance at life. They killed members of the New Republic government, too. Madine is rumored to be dead. Maybe the “rumored” part is setting up something else for the future. But it doesn’t sound good. At least in Darksaber, Madine went down fighting. In Life Debt, he was shot watching a parade. It’s not like Madine had a one-word part in a Star Wars movie. He passed along some major exposition to set up the Empire’s downfall. But in both the Legends and new canon universes, authors killed him off swiftly. In a universe with as many characters and spanning as large a timeline like Star Wars, sure, characters are going to die. In Darksaber, Madine had a good death in a bad book. In Life Debt, he had a bad death in a good book. Oh well. At least they gave him an awesome action figure. I feel it says something that Hope’s sixth and fifth birthday posts are on the same page. So yeah, she’s growing and becoming this awesome little person who’s fun to hang out with (and is already asking me when the next Weezer concert is).